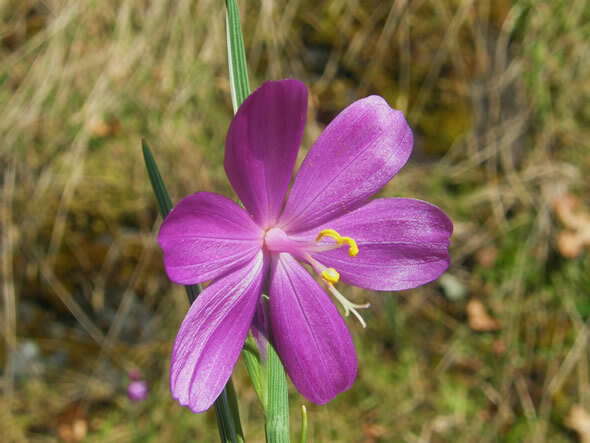 is one of the first flowers to bloom and brighten the hillsides. This issue features some updates and news as well as trivia and tips that we hope you'll enjoy. There's also a joke about a couple of squirrels and some wonderful photos submitted by subscribers for you to enjoy. We send a special welcome to our new subscribers this month and our continued thanks to our long-time subscribers. We really appreciate your support. Which tree can take up to 50 years to produce seeds? Test your knowledge of provincial and state birds with this crossword which features visual and word clues. The foods are all ready and now it's time for the guests to arrive for breakfast in this Tale from the Deck. Dr. Rob Walker of Victoria, BC. 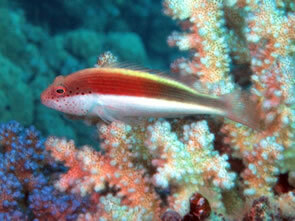 sent in these two great underwater images taken in Egypt on a diving trip in the Red Sea. On the left is a Blue-spotted Stingray and on the right a Freckled Hawkfish. 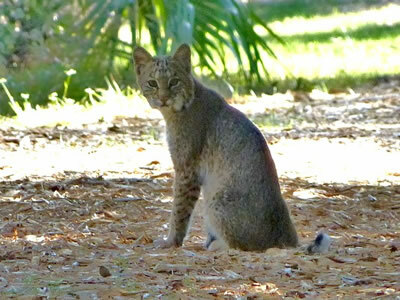 This Bobcat was taken in a nature preserve in New Port Richey, Florida. It was submitted by regular contributor, Marilyn Flanagan of Florida. 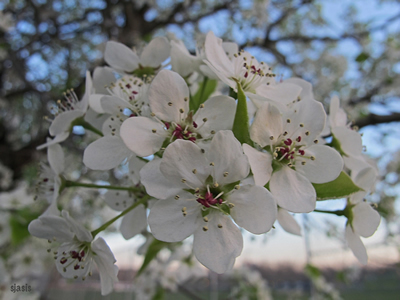 These lovely Bradford Pear Blossoms was sent in by Susan Asis, Flushing, New York. 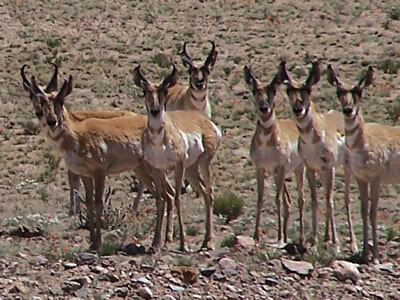 and sent in by W.C. Durnil, Chino Valley, Arizona. John from Queensland, Australia, sent in this image of a Brolga, Grus rubicunda. 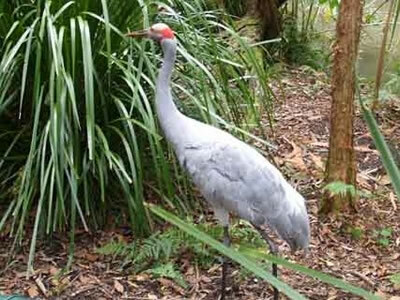 It's a member of the crane family and is the official state bird of Queensland. What an amazing selection of photographs! Many thanks for sending them in. This month's feature is called "Lichens at a Glance." 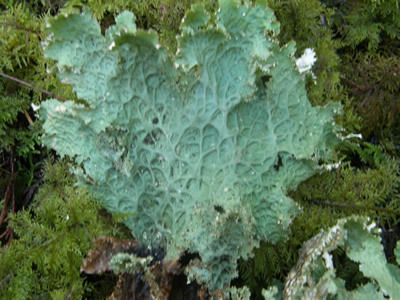 You'll be surprised at the huge variety and diversity of lichens. 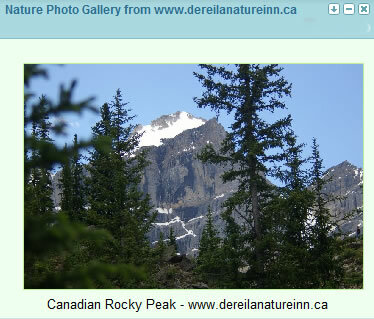 We have numerous At-A-Glance pages including flowers, birds, mammals, insects and marine life. Find them all by clicking here. This month wander through the forest and discover a moss. 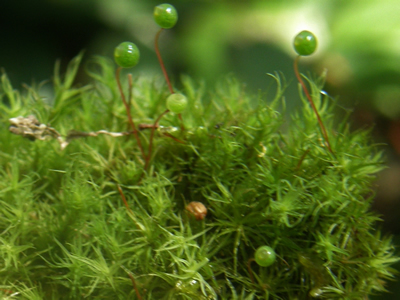 This is Apple Moss, Bartramia pomiformis. You can clearly see its apple-like fruits which explain how it got its common name. Number one: "Brrrr. It's still rather cold"
Number two: "Wow. The rain really plays havoc with your feathers." 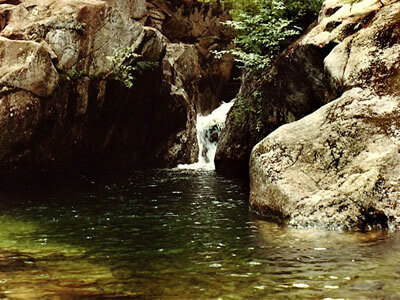 Emerald Pool in the White Mountains of New Hampshire is a favourite area of Julie Copenhagen of Van Etten, New York, who took this photograph. Yarrow, Achillea millefolium, is a very common plant with a beautiful flower head made up of numerous florets. The Genus name, Achillea, is in honour of the Greek warrior Achilles who was invincible except for his ankle. 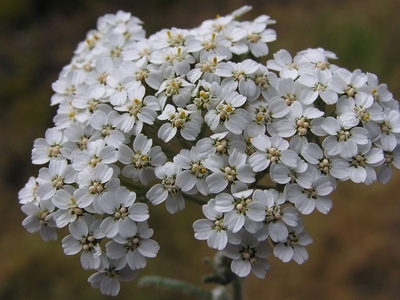 Legend has it he used Yarrow to make an ointment to sooth the wounds of his warriors. 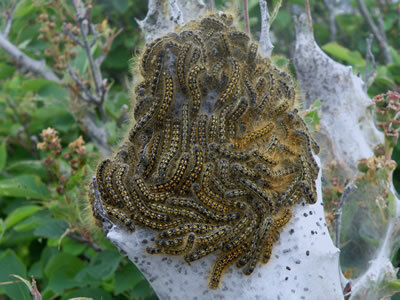 The species name, millefolium, means "thousand leaves" which refers to the structure of the plant's leaves. A Gray Squirrel was sitting on a old log. Next to him was a bag of almonds. 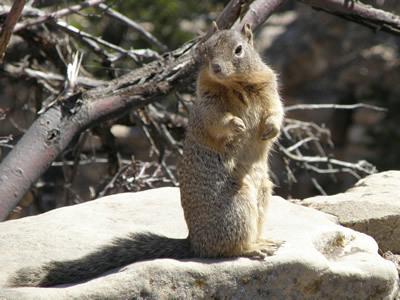 A Rock Squirrel was passing by and sat down on the log. He spotted the bag of nuts and when the Gray Squirrel wasn't looking he took a couple. He did this a few more times and after a while he had eaten them all. Feeling sorry he said, "I'm really sorry but I've eaten all your nuts." "That's OK," said the Gray Squirrel. "I've already sucked all the chocolate off them." "That was alright. I don't like chocolate anyway." 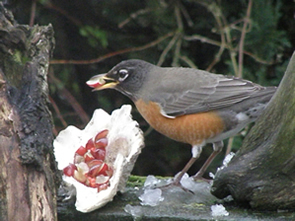 As nesting time approaches in many areas, it can be helpful to provide some nesting material for the birds. 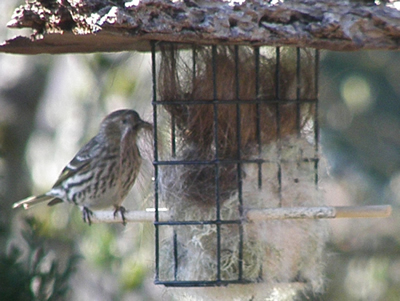 You can simply place fluff or even hair in a suet feeder cage and hang it up in your bird feeding station. 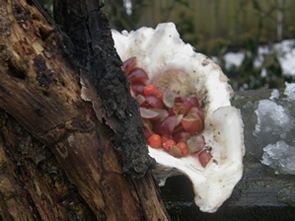 If you're running out of frozen berries to feed the birds, try chopping up a few grapes into 6 or 8 pieces for a substitute. Just pop them in a small container. You'll be really appreciated! Get Ready to Celebrate Earth Day! Every year we celebrate Earth Day which is on April 22nd. Watch out for a special invitation coming your way at the end of March inviting you to submit nature photographs from your area. You can check out the results of last year's celebration by clicking here. To get going with this, just click here. In Banff National Park, Alberta, the Bow River curves widely through the valley. 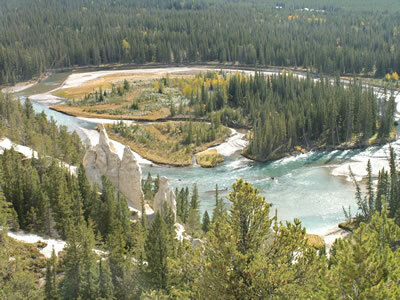 The river starts high in the Rockies and gradually flows through the foothills and across the plains of Western Canada. 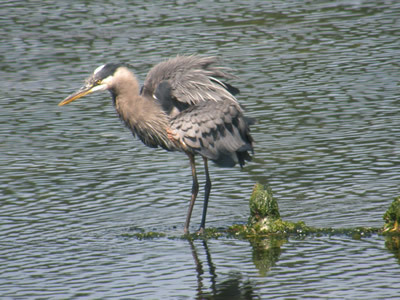 It eventually feeds into the South Saskatchewan River which is part of a water system that drains into Hudson Bay. Did you know that sea sponges are amongst the simplest of animals? They have no internal organs, muscles or nerves. 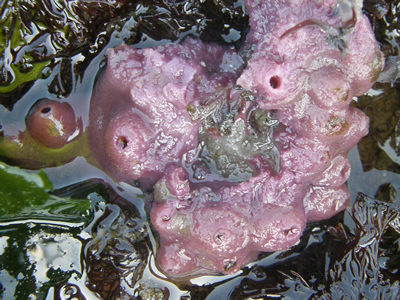 This is a Purple Sponge, Haliclona permollis. 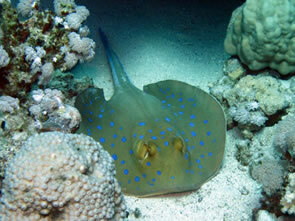 See more amazing marine life in our At-A-Glance Guide to Marine Life. The Giant Sequoia, Sequoiadendron giganteum, is the state tree of California. 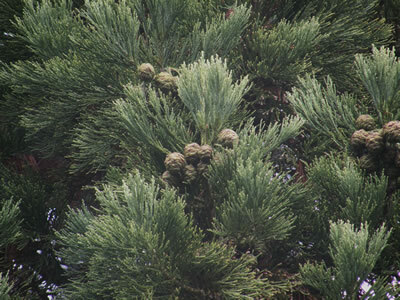 up to 250 ft/76 m high with a diameter of 20 ft/6 m.
To see our collection of state and provincial trees just click here. 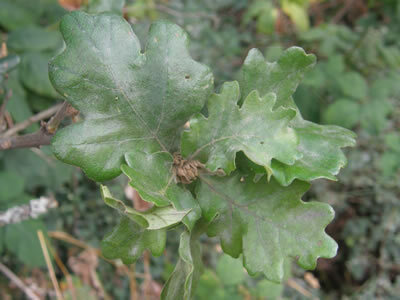 Some oak trees can take 50 years to produce acorns. 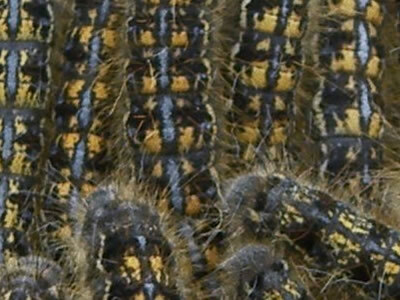 This month's close-up image is a nest of Tent Caterpillars. How well did you guess?